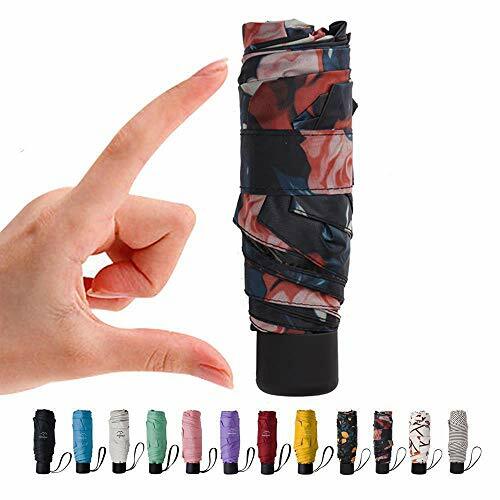 Weight( 7oz),Length(6.6in).About the weight & length of PLUS. 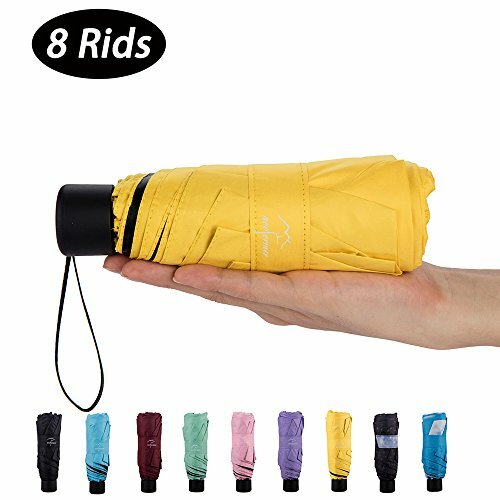 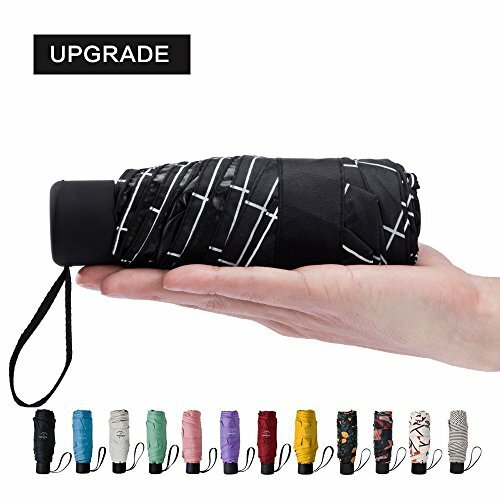 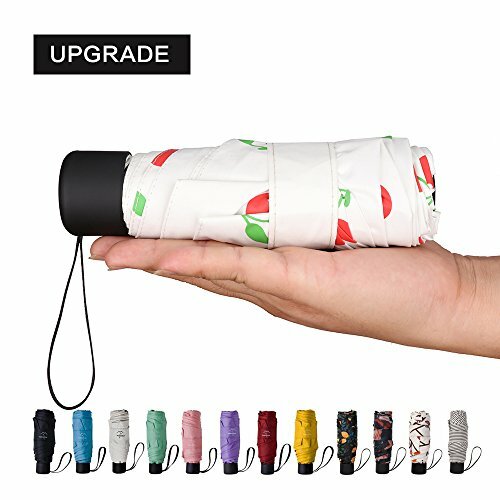 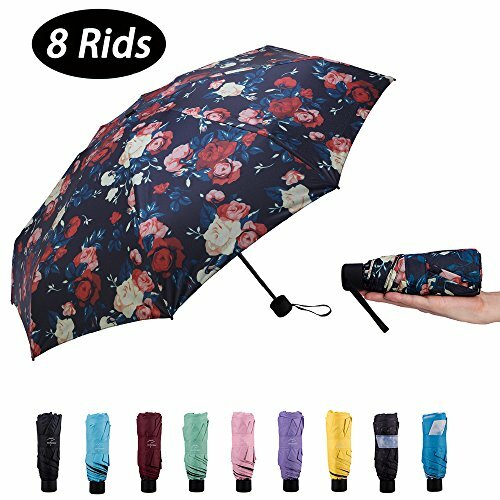 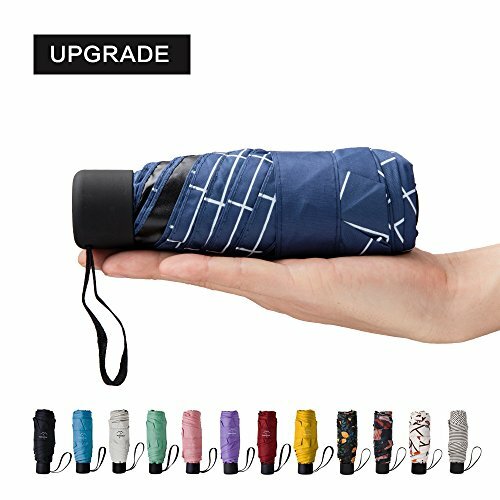 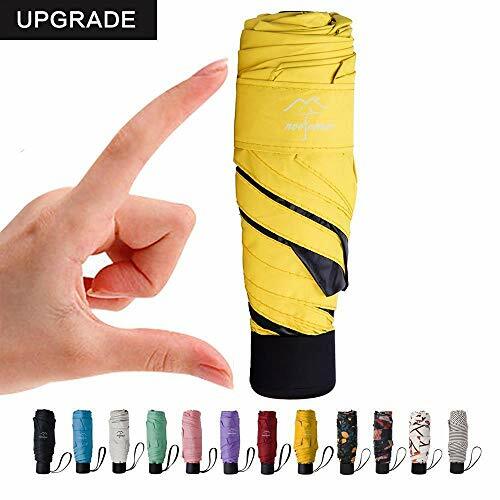 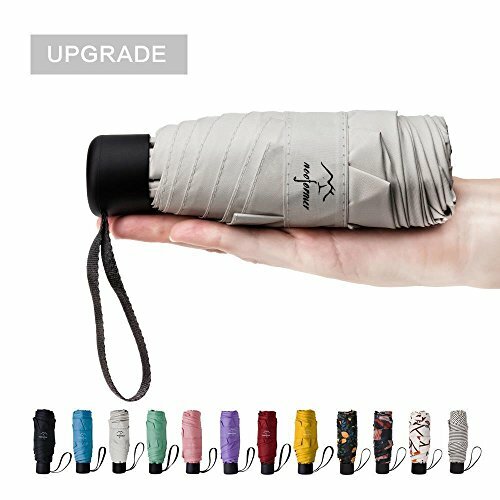 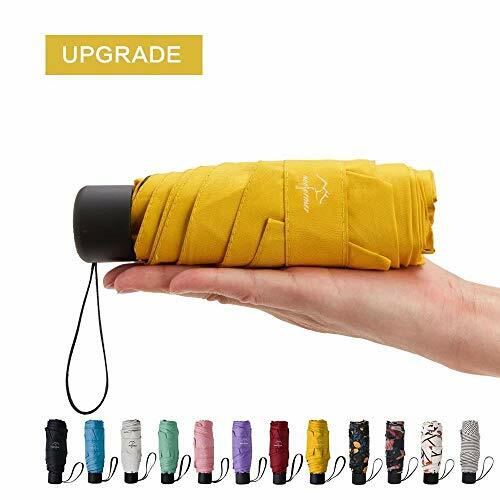 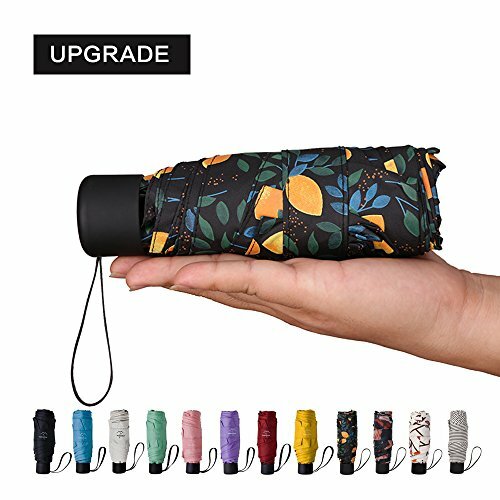 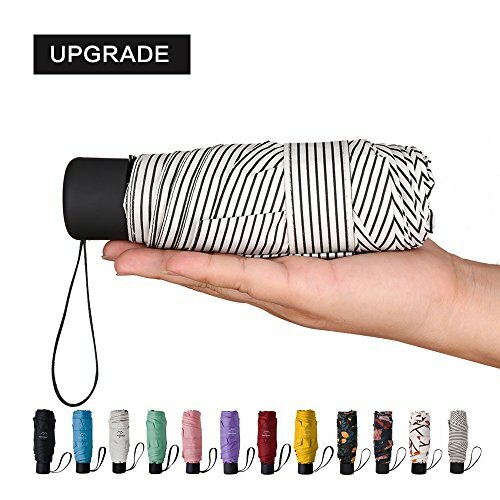 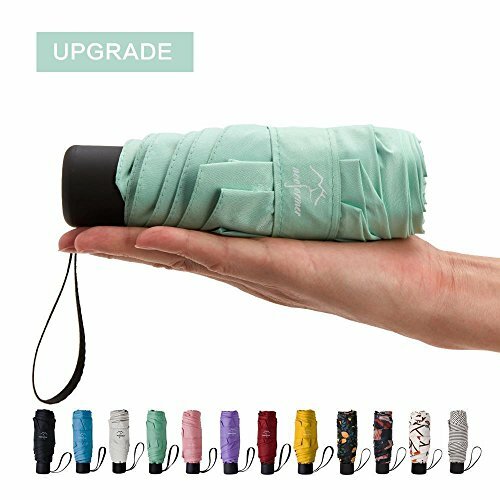 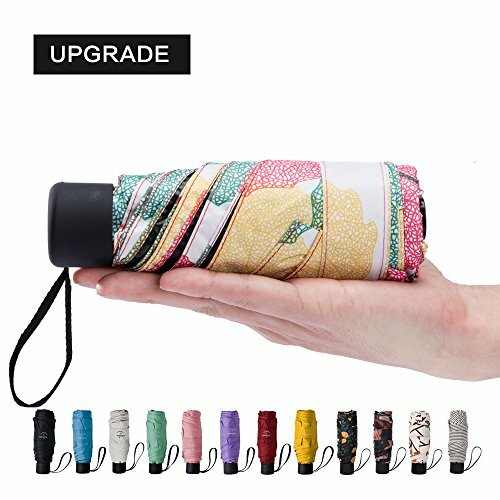 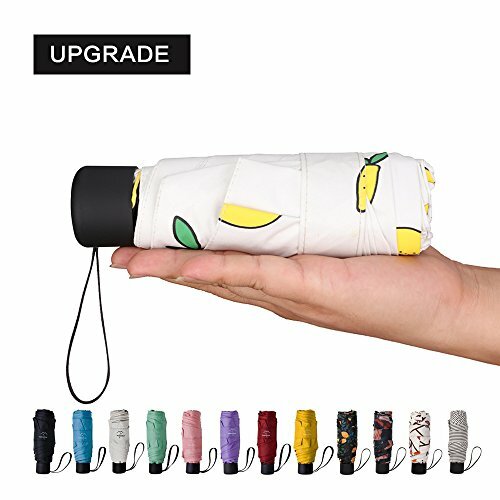 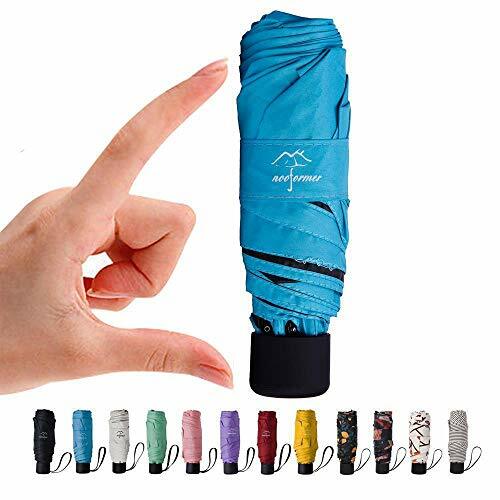 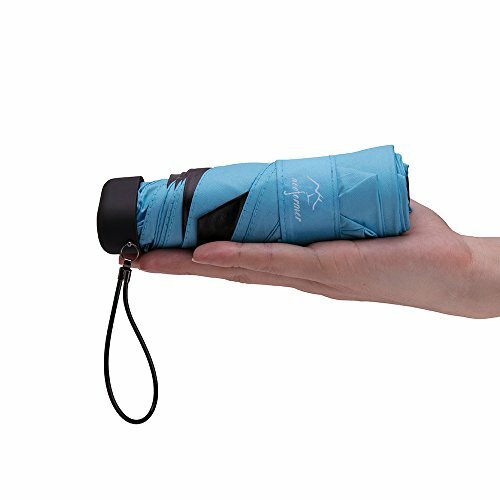 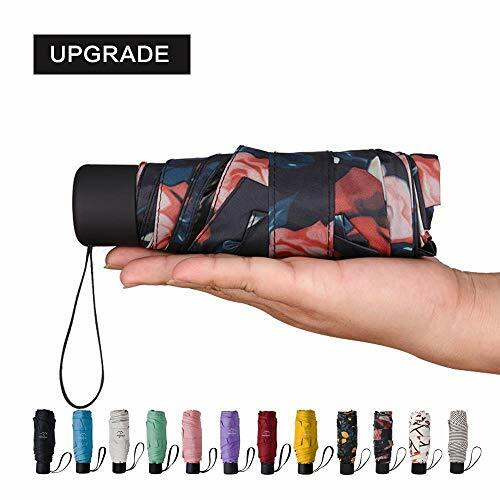 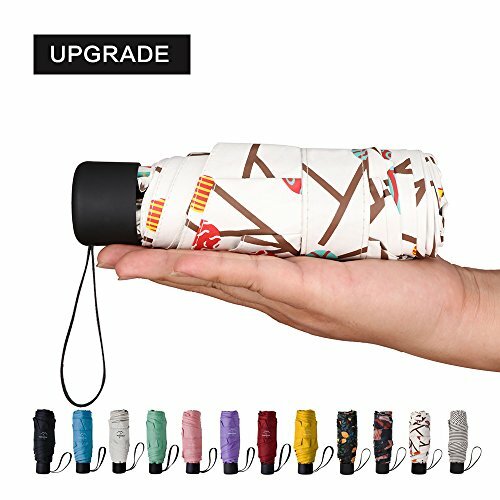 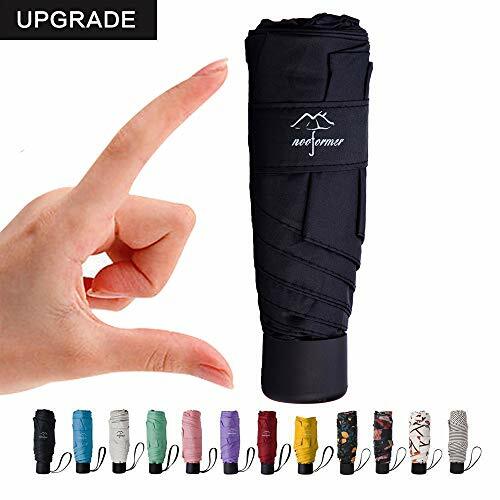 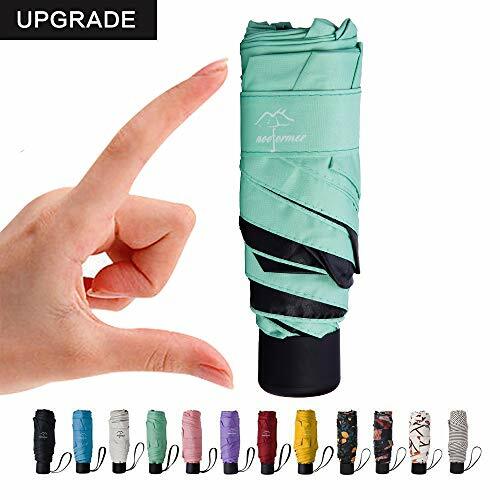 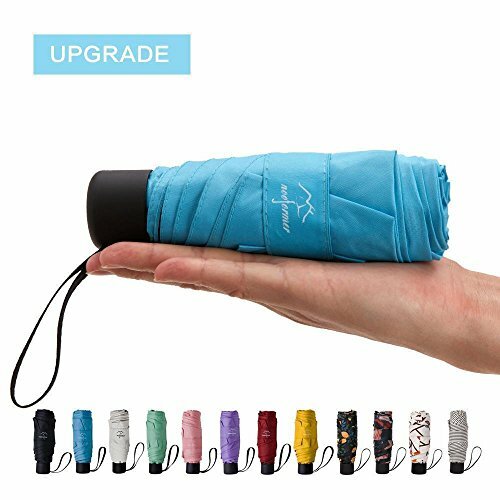 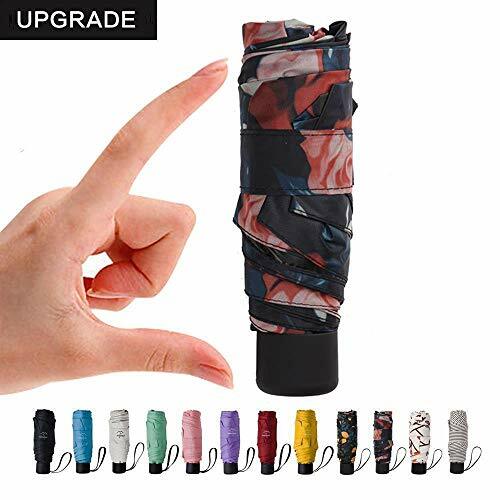 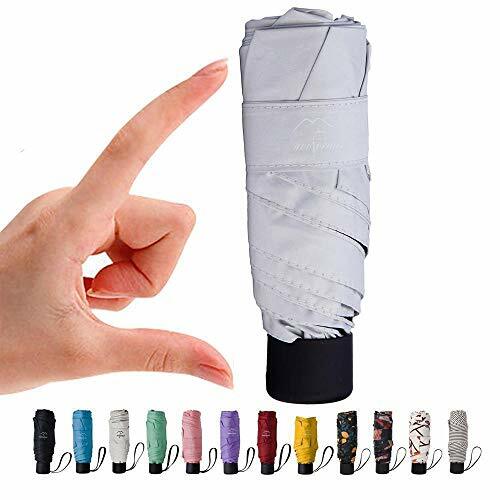 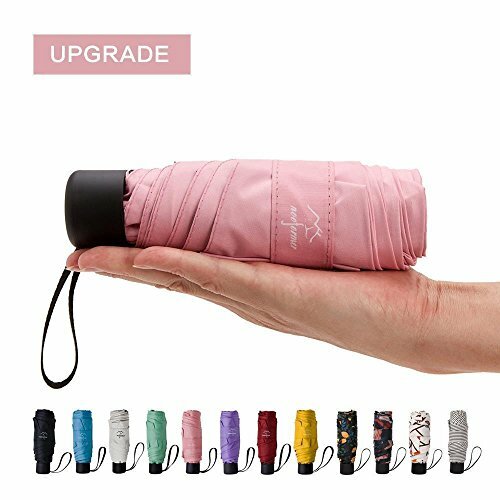 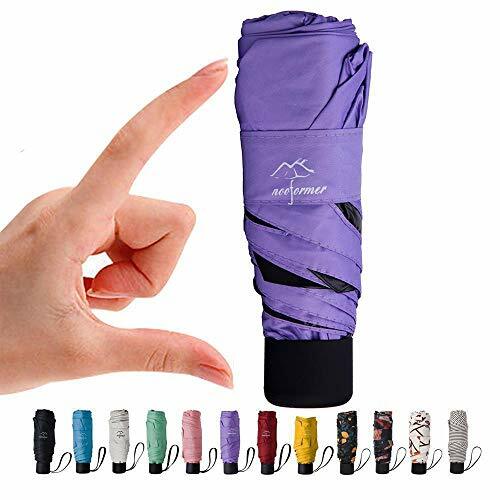 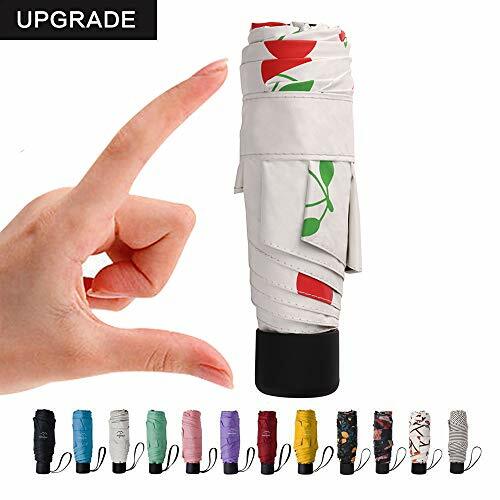 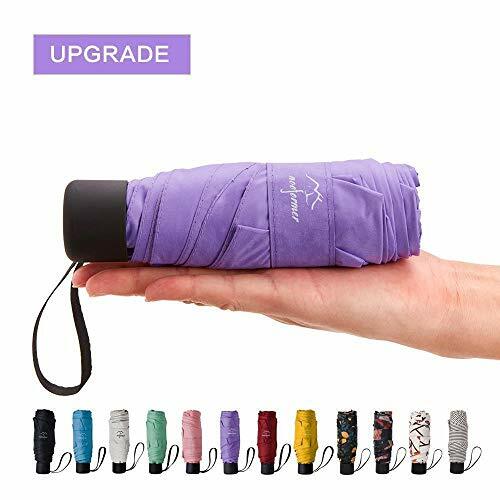 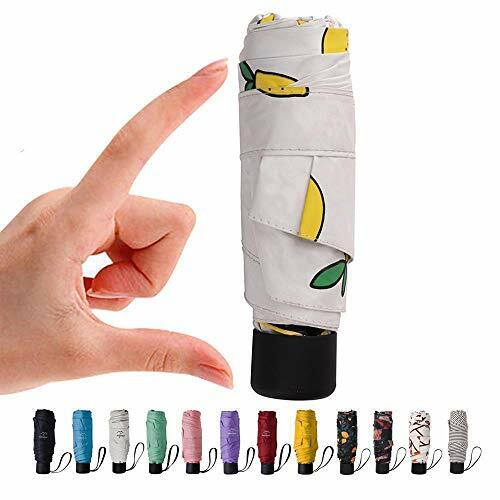 Portable & Travel Umbrella : 5 Folding Construction make it ultra compact & lightweight.It fits conveniently in your backpack, purse, or suitcase.Light & small enoughl to carry around. 95% UV Protection : This umbrella can protect 95% from UV rays in the test.Version A/C/E: Umbrellas for both rain and sun, with 95% UV Protection. 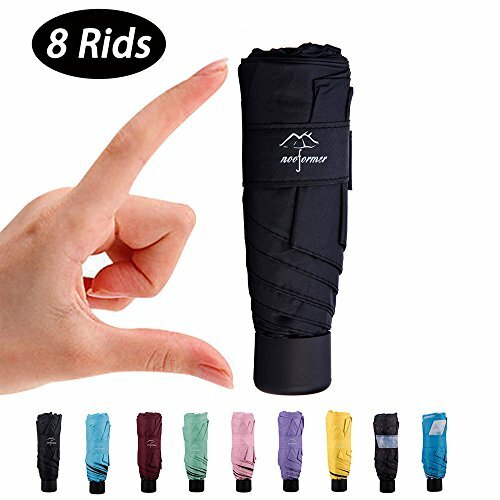 Version B/D: Rain umbrellas, without UV protection. 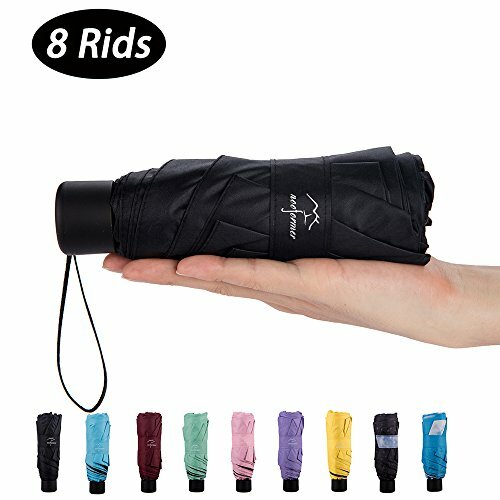 Idea Gift :Perfect gift for Men,Women, kids and students , parents, friends, colleagues ,lovers. 6 Rids:Weight( 7oz),Length(6.6in).About the weight & length of PLUS. 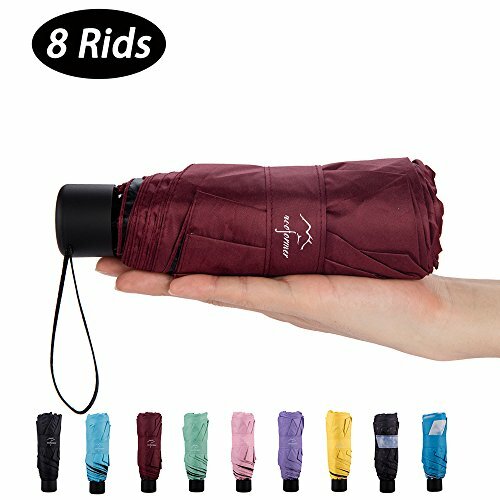 8 Rids:Weight( 7.76oz),Length(7.48 inches ). 95% UV Protection : This umbrella can protect 95% from UV rays in the test.Version A/C/E/F: Umbrellas for both rain and sun, with 95% UV Protection. 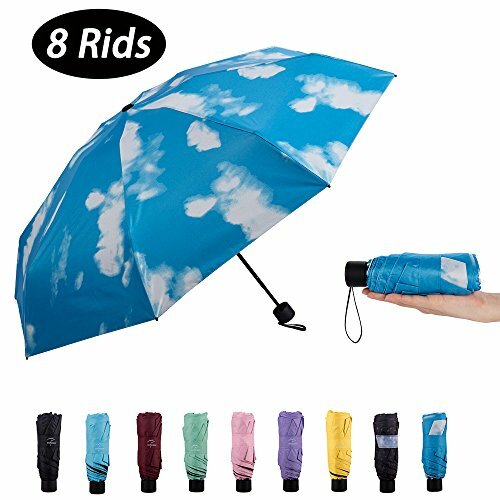 Version B/D/G: Rain umbrellas, without UV protection. 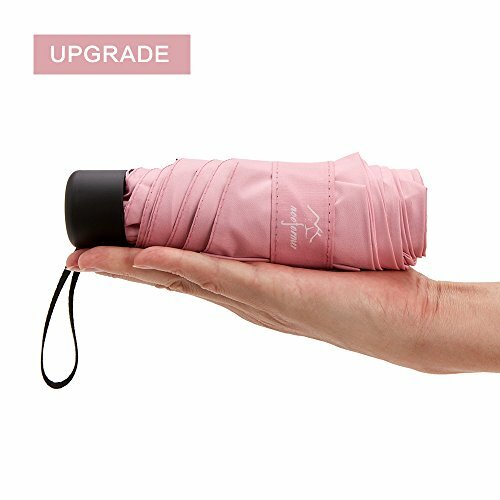 95% UV Protection : This umbrella can protect 95% from UV rays in the test.